269 color + b-w illus. 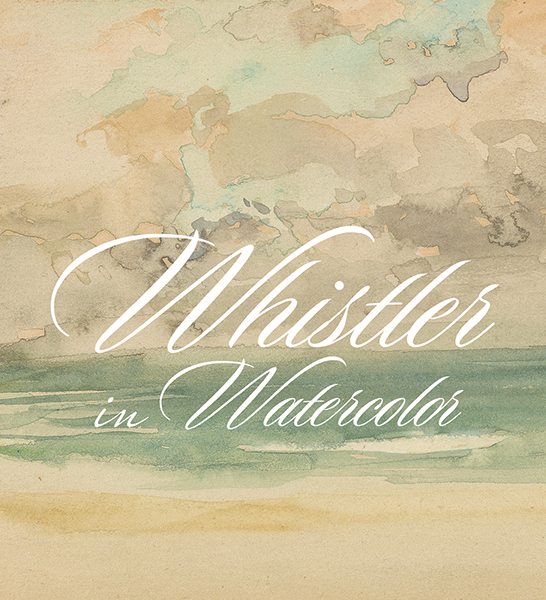 In the 1880s, James McNeill Whistler (1834–1903) reinvented himself through the medium of watercolor. At the time, excellence in watercolor was most often associated with British artists, and most notably with the work of J. M. W. Turner (1775–1851). Whistler’s embrace of watercolor allowed the expatriate artist to present himself as an heir to the great Turner, while at the same time creating easily portable works that could supply an American market and, the artist hoped, help secure his art-historical legacy in his home country. Indeed, it was the American Gilded Age industrialist Charles Lang Freer who would amass the largest collection of Whistler’s watercolors, eventually bequeathing them to the Smithsonian in 1906. This publication is the first systematic study of Freer’s amazing treasure trove of more than 50 watercolors by Whistler and includes figures, landscapes, nocturnes, and interiors. Providing both an art-historical context that looks into the contemporary reception of the works, as well as rigorous scientific analysis of Whistler’s materials and techniques, this volume offers a groundbreaking look into an overlooked segment of the celebrated artist’s oeuvre. Lee Glazer is director of the Lunder Institute for American Art at Colby College and was curator of American art at the FreerSackler, Smithsonian Institution, from 2007 to 2018.